Remington Slugger Rifled Slug 12 Gauge Ammo 2-3/4" 1oz. 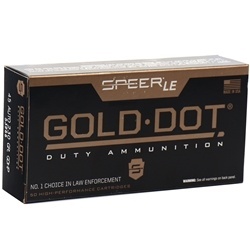 Lead Slug ammo for sale online at cheap discount prices with free shipping available on bulk 12 Gauge ammunition only at our online store TargetSportsUSA.com. Target Sports USA carries the entire line of Remington ammunition for sale online with free shipping on bulk ammo including this Remington Slugger Rifled Slug 12 Gauge Ammo 2-3/4" 1oz. Lead Slug. Remington Slugger Rifled Slug 12 Gauge Ammo 2-3/4" 1oz. Lead Slug ammo review offers the following information; This Remington Slugger 12 Gauge 2-3/4" ammunition delivers hard-hitting, deer-dropping performance! Remington Slugger 12 Gauge ammo is slightly over-sized for great smooth-bore shotgun performance, resulting in better sealing against the barrel wall and more consistent shot-to-shot velocities. This Remington Slugger is designed specifically for smooth bore barrels but can also be used in rifled choke tube barrels or fully rifled barrels. 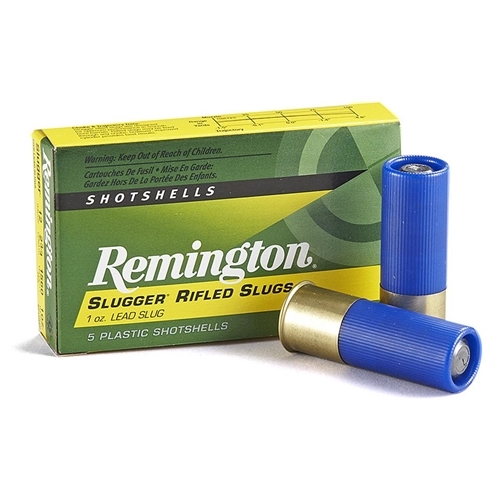 Remington Slugger Rifled Slugs offer remarkably effective performance. With effecting energy out to 80 yards, these Remington 1 ounce slugs easily handle the majority of shotgun deer hunting ranges. These shotshells shoot 25% flatter than competing 12 gauge slugs, making Slugger ammo the perfect choice for either hunting or self defense. Remington 12 Gauge rifled slugs offer a muzzle velocity of 1560 feet per second. Remington 12 Gauge 2-3/4" ammo is packaged in boxes of 5 shotshells or cases of 250 shotshells. Free shipping is available on bulk orders of this Remington Slugger ammo from Target Sports USA. I tested this at 25 yards and the groups were not too bad. I compared it to the standard slugger and really could not tell much any difference. Response:Hi Manley, usually 3-4 business days. Thank you for buying ammo online at Target Sports.